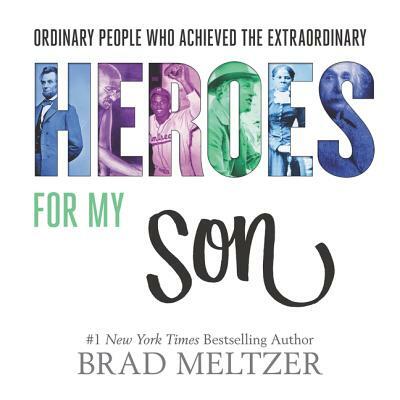 Brad was inspired by the birth of his first son to curate this collection, but you don’t need to be a parent to treasure it—Heroes for My Son is perfect for children, parents, teachers, and anyone looking for inspiration. The fifty-two featured figures represent the spectacular potential we all have within us to change the world. The dynamic pages full of photos, quotes, and brief biographies are perfect for reading aloud and allow every reader to explore at their own pace. Not limited to male role models, the wonderfully diverse heroes included in the book are men, women, historical, contemporary, athletes, actors, inventors, politicians, and so much more. Heroes for My Son is a book to be read again and again, as the simple question of what makes a hero remains a vital part of today’s conversation.